You're not alone if you experience more joint pain as you get older. Did you know by the age of 65, more than half of adults have symptoms of osteoarthritis? The condition is called arthritis by most people, and it results in the pain and inflammation in your joints. Fortunately, an Omaha chiropractor can help alleviate discomfort which helps you stay healthy and active. If you've experienced traumatic injuries or work-related repetitive injuries, you may be at great risk for arthritis. Additionally, diet and genetics play a role in determining when you develop the condition and how badly it affects you. There are two primary types of arthritis: osteoarthritis and rheumatoid arthritis. Both can be treated successfully at the Chiropractic Health Clinic. Osteoarthritis is caused by the breakdown and loss of cartilage in one or more joints over a period of time. In early stages, the cartilage surface swells and tissue components are lost. This causes you to loose movement in the affected joints. The area can also become more susceptible to damage from trauma and repetitive motions. Rheumatoid arthritis is an autoimmune disorder that causes inflammation. Your body's immune system attacks the tough membrane that lines your joints, causing inflammation and pain. Over time, the disease can destroy cartilage and bone within the joint. Spinal adjustments along with supportive treatments as nutrition and physiotherapies help lessen the symptoms of rheumatoid arthritis. 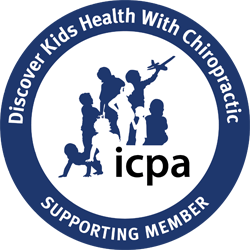 How can a Chiropractor in Omaha Help? While medication can help, a chiropractor in Omaha can also help alleviate the symptoms of arthritis. Chiropractic care takes in a broad spectrum of health concerns and finds way to minimize damage, slow the pace of the condition and alleviate pain from arthritis. • Ultrasound therapy. It's commonly used as imaging technology, but ultrasound can also produce a massaging effect that reduces swelling and decreases pain in your soft tissues. • Trigger-point therapy. This technique applies gentle pressure to a specific muscle where you feel discomfort. • Cold laser therapy. A non-heat producing laser or light penetrates your tissue, often reducing inflammation. • Therapeutic exercises and stretches. Physical activities that promote strength and endurance. If you're suffering from either type of arthritis, please let the doctors at Chiropractic Health Clinic keep your body in movement. Call (402) 778-5470 and schedule an appointment today. We'd love the opportunity to reduce your arthritis pain so you can maintain an active lifestyle.